By mid-afternoon we were in Chihuahua City. Our hotel was downtown within walking distance of the main shopping district, department stores, the local mercado, and the town's main zocalo with its cathedral. The next morning was a city tour with a local guide. We visited the historical center with the government palace. The courtyard had numerous murals of Mexican history. The central park had a statue of Anthony Quinn who was born in Chihuahua City. 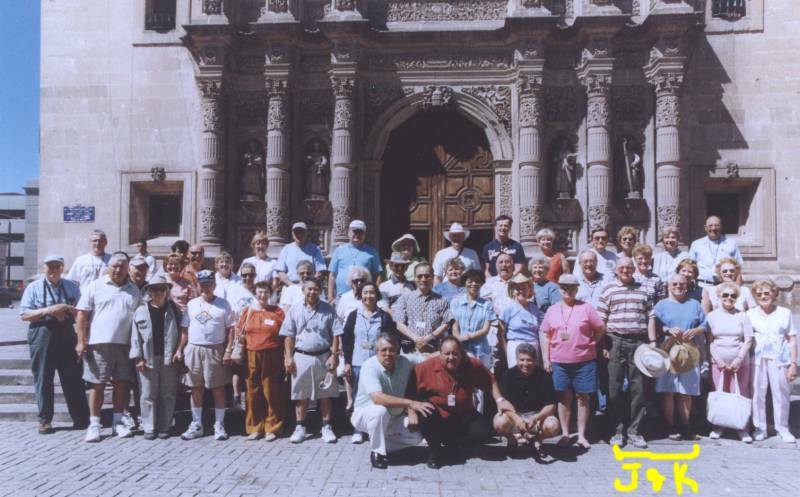 We had plenty of time to wonder around the cathedral and had a group picture taken on the cathedral steps. We went to an unusual museum that once was the home of the Mexican hero General Francisco "Pancho" Villa. The mansion was the headquarters for General Villa's "Golden Ones" during the Mexican Revolution (1910-1920). Now it's a museum filled with Villa's firearms, cartridge belts, and the bullet-riddled car Villa was driving when he was ambushed and killed. There was also a tour around the different neighborhoods, from working class to the wealthy. For dinner, we were invited in groups of six, to a local home. We went to the Flores home in a middle class neighborhood. 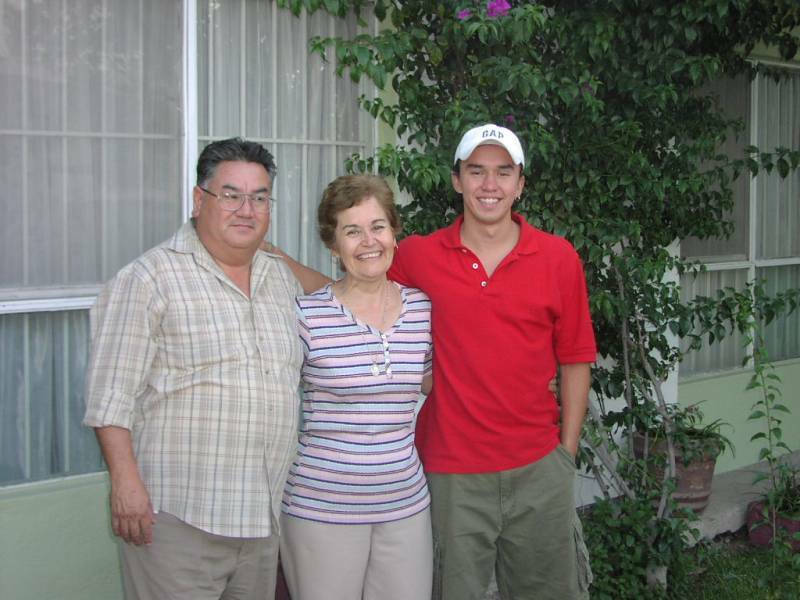 Neither Mr. or Mrs. Flores spoke English, but their college-student son, Jorgé spoke perfect English. He wants to work in movies and has been to the U.S. a number of times. We had a wonderful meal and a great time. The next morning as we were leaving the city, we stopped at one of the six industrial parks that had many maquiladoras factories. In front of one of the buildings was a huge metal sculpture of Don Quixote.